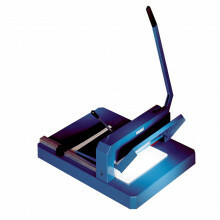 Swingline GBC ClassicCut CL800pro 11-3/4" manual stack paper cutter delivers straight, clean cuts using a steel blade. 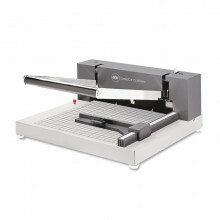 The adjustable stack positioner aligns and locks into position to assure a square cut. 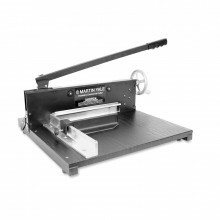 MBM Triumph 4305 16-7/8" manual paper cutter features a narrow cut ability of 1-5/16" for when smaller trimming is needed. 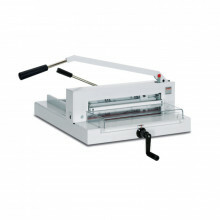 MBM Triumph 4350 16-7/8" automatic paper cutter features a narrow cut ability of 1-3/8" for when smaller trimming is needed. 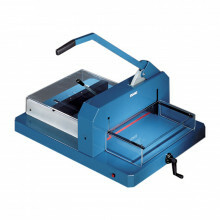 Dahle 848 18-5/8" professional stack cutter can handle up to 700 sheets of paper at a time. 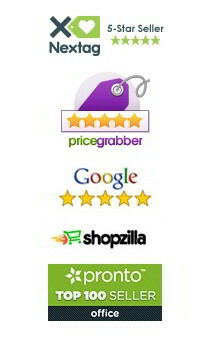 Safety shields can be found on either side of the cutting blade and will not allow the blade to move while they are in the up position. 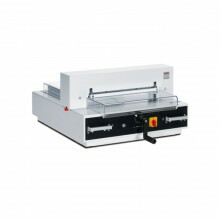 Dahle 846 16-7/8" professional stack cutter can handle up to 500 sheets of paper at a time. Safety shields can be found on either side of the cutting blade and will not allow the blade to move while they are in the up position. 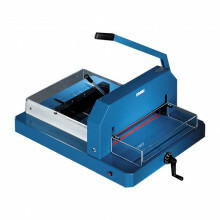 The MBM Triumph 4850 18-7/8" fully automated paper cutter features a digital display for precise back gauge positioning. 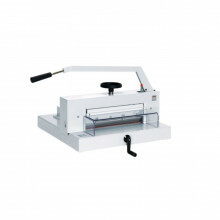 MBM Triumph 4705 18-3/4" manual paper cutter features a narrow cut ability of 1-3/16" for when smaller trimming is needed. 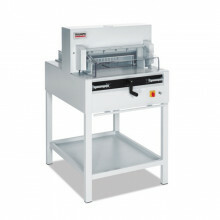 Dahle 842 16-7/8" professional stack cutter can handle up to 200 sheets of paper at a time. 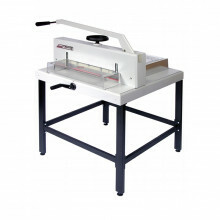 Safety shields can be found on either side of the cutting blade and will not allow the blade to move while they are in the up position.